Sit down to a warm cup of lovingly brewed tea to warm your heart and a Grandma Whent scone. 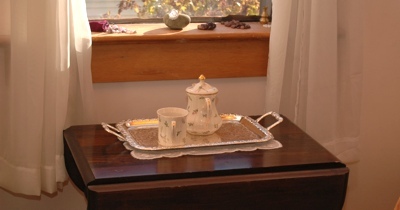 In the true spirit of relaxation the Tea Room in the front porch or dining room ~ open by appointment or chance. 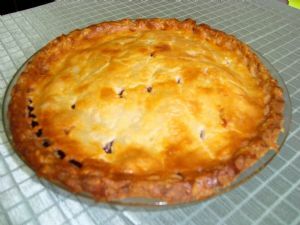 ~ Heavenly Pies are made from the heart with TLC and wholesome ingredients. Apple, Blueberry and Coconut Cream Pie made to order just for you! call Levina 887-2708. ~ Sponge Toffee – old fashioned, golden. and delicious, just as we remember it as kids. $4.00 per (100 grams); nicely packaged. ~ Almond Biscotti – an ole-fashioned Italian recipe just perfect for dunking into coffee in our Tea Room. $2.00 each or take home for $12.00/dozen; nicely pkged in a gift bag.